Rangatira Island is world famous for its immense seabird colonies. 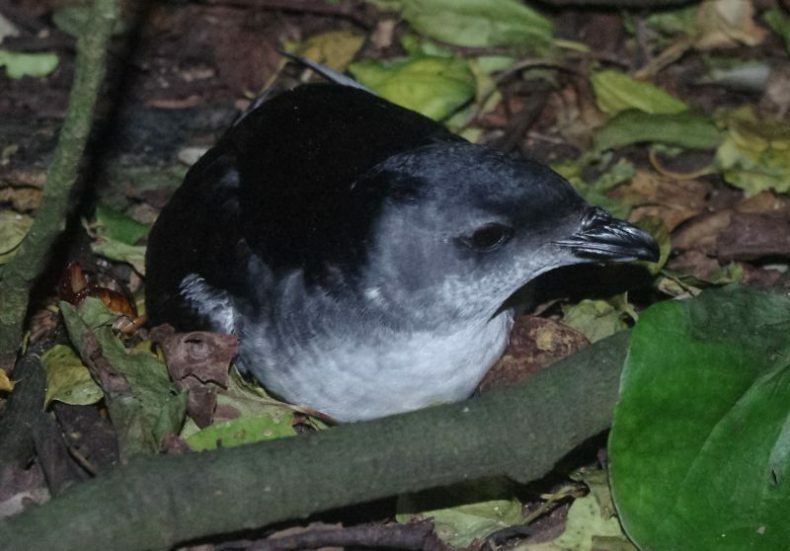 Te Papa bird expert Colin Miskelly recently took leave to join a Department of Conservation team focussed on black robin and Chatham petrel recovery programmes on the island. 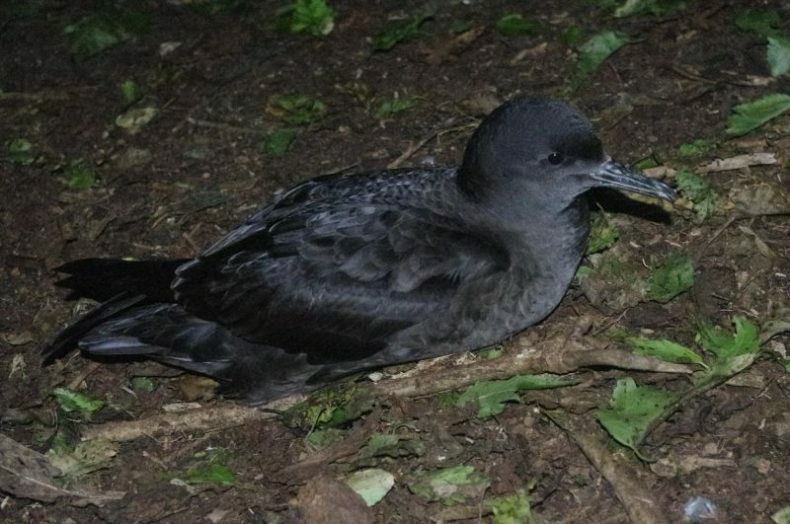 Much of the Chatham petrel work was undertaken at night, providing an opportunity to observe related species that breed on the island in their millions. You must tread lightly on Rangatira. The term ‘fragile ecosystem’ is often used in an abstract sense, but on Rangatira human impacts can be as immediate as sinking shin-deep into a petrel burrow, crushing the occupants beneath your boot. 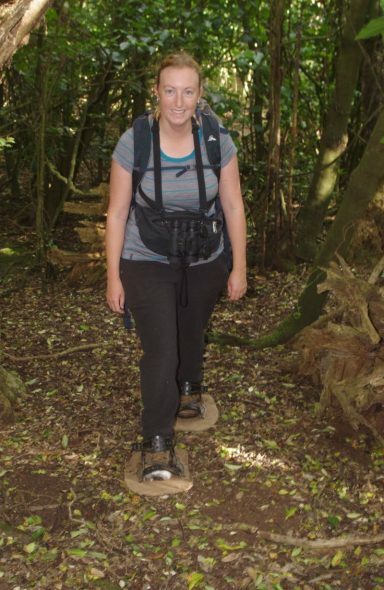 This is the main reason why access to the island is so tightly controlled, and is also why one of the first tasks for workers on the island is to find a pair of petrel boards that fit. Rangatira Island is one of the world’s great seabird islands. Although farmed for more than a century until 1961, rats and cats never reached the island, and so its seabird colonies persisted throughout the farming era – although visiting naturalists described bulls sinking to their fetlocks with every step. With the cattle and sheep now gone for nearly six decades, the petrels have regained almost every square metre of soil on the island. 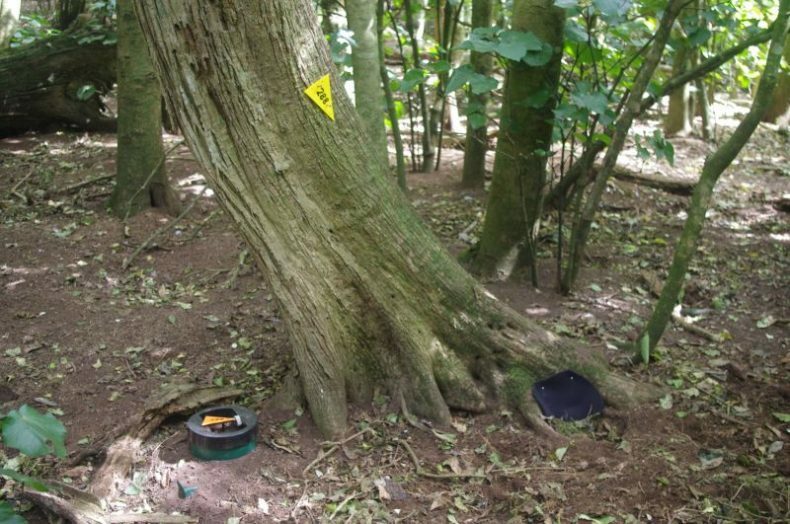 Based on 1989-90 burrow counts, there are an estimated 1.3 million burrows in forested portions of the island, and there must be a similar number under the vast tangles of Muehlenbeckia vines reclaiming previous pastureland. Based on these estimates, it is likely that around five million petrels attempt to nest in less than 200 ha of soil on the island. 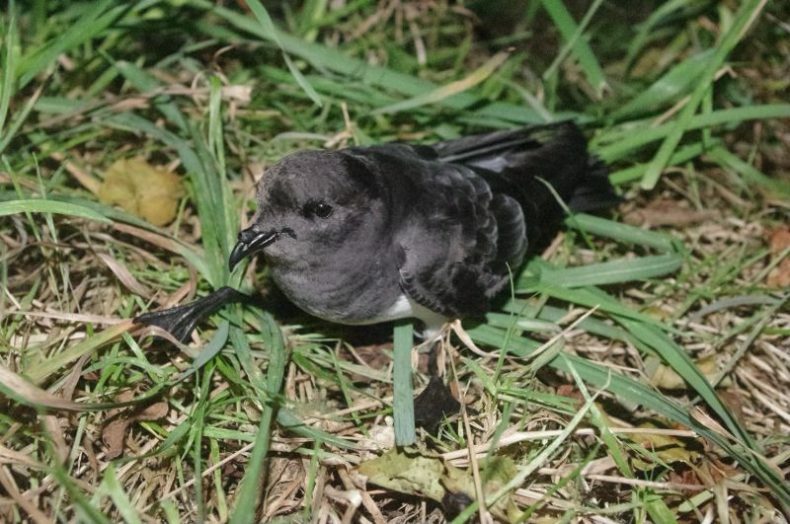 The most abundant bird on Rangatira is one of the smallest – the white-faced storm petrel. These delicate, long-legged seabirds were fledging during our visit in March. On our arrival on 6 March it was possible to see dozens of newly-emerged chicks in a sweep of a headlamp beam, their bright new plumage contrasting with the worn plumage of the adults. By the time we departed on 31 March they had almost gone too, skipping their way across the Pacific to an area south of the Galapagos Islands. 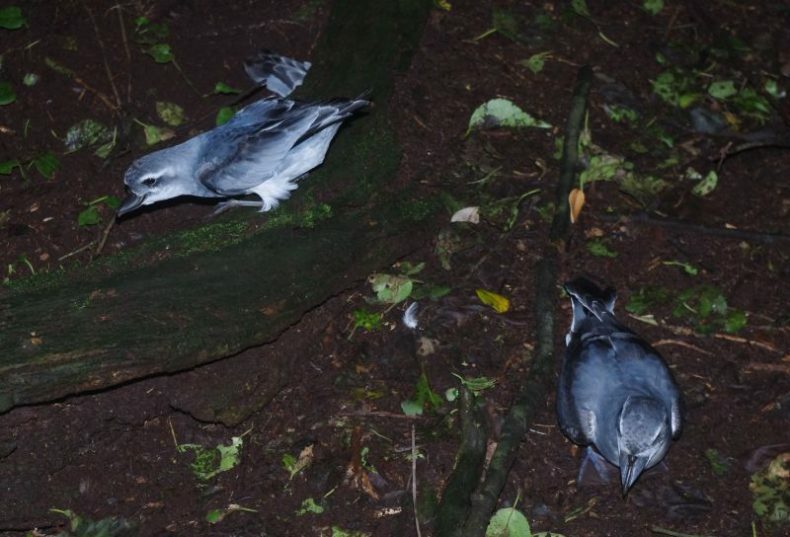 Storm petrels are highly attracted to bright lights, and one of the hazards of venturing out at night on Rangatira is being hit in the face by a petrel zeroing in on your headlamp. The grey-backed storm petrel is an even smaller species, and the last of their chicks were also departing during our visit. They are a very difficult species to survey or count, as they do not form burrows like their larger cousins, but lay their eggs among dense foliage (e.g. the base of a grass clump) without an obvious entrance hole. 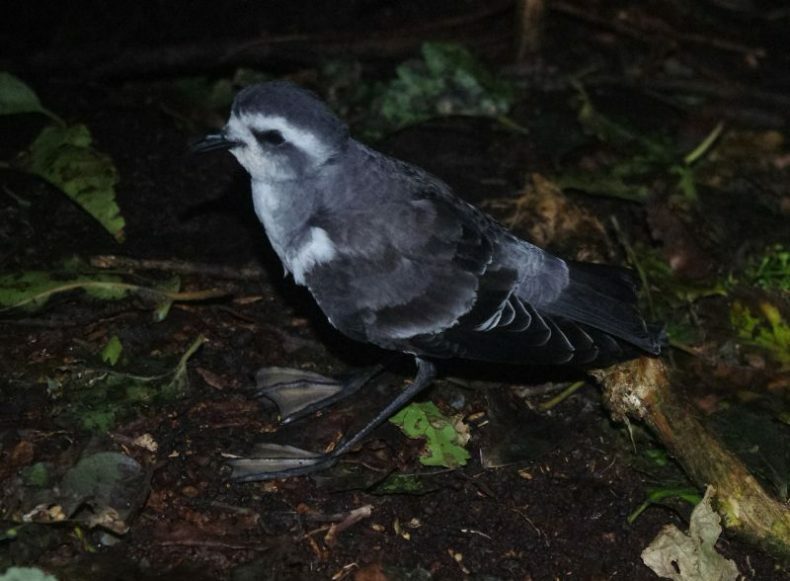 The second-most abundant petrel species on Rangatira is the broad-billed prion, with an estimated 330,000 pairs under the forest, and many more under Muehlenbeckia. With its bizarre over-size beak, the broad-billed prion wears a comic visage that shields its darker side. They breed earlier than other petrel species on Rangatira, with most of their chicks departing by the end of December. 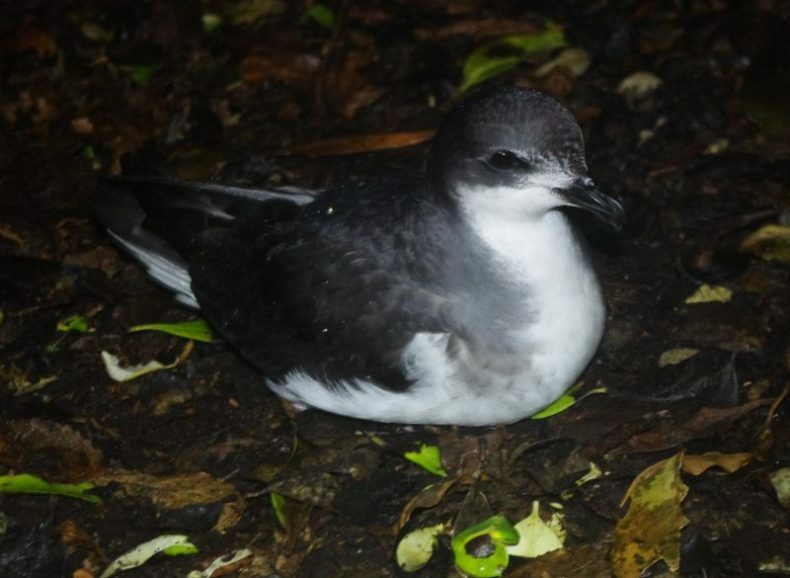 The adults return en masse from their post-breeding moult in late February or early March – and this is when they create problems for other rarer petrel species on the island. The Chatham petrel and black-winged petrel are both similar in size to broad-billed prions, and all three species use burrows of similar dimensions. When the prions return in autumn, the two other species have young chicks that are left unguarded for several days at a time while their parents gather food hundreds of kilometres out at sea. The small downy chicks are no match for aggressive prions that enter their burrows when searching for potential breeding sites. But the prions have problems of their own. 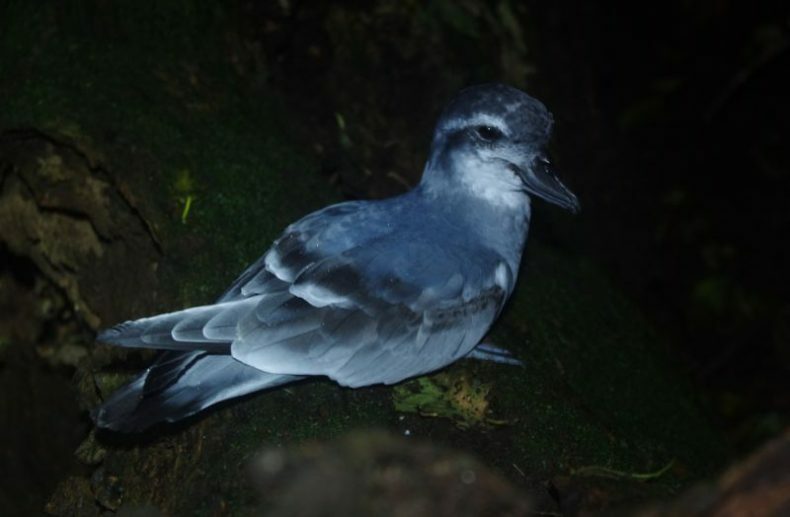 Most of the petrel species crash land into the forest canopy at night (black-winged petrels and grey-backed storm petrels mainly nest in more open areas). 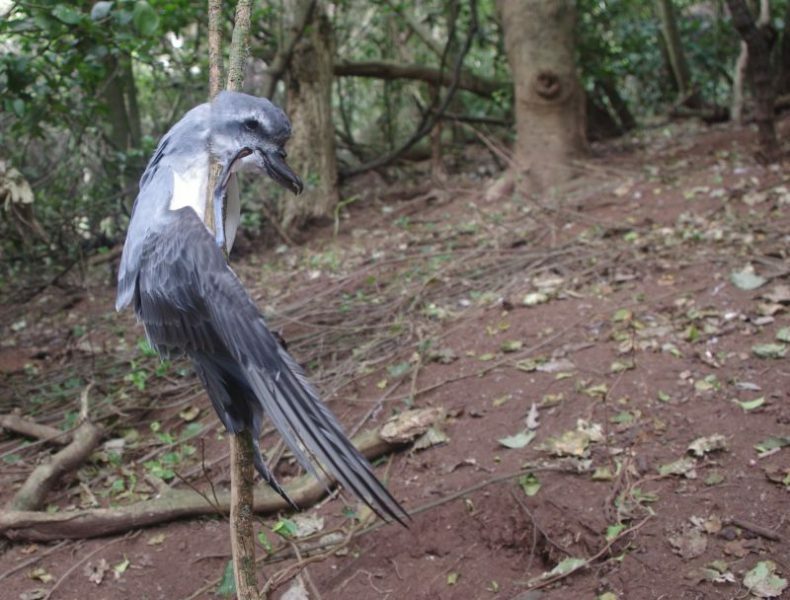 As the prions tumble to the ground, their massive heads are prone to getting stuck in forks in fine branches, and it is common to see dead or dying prions hung up in the forest on Rangatira. Much of our work programme focussed on protecting Chatham petrel chicks from broad-billed prion attacks. Until recently, Chatham petrels were considered critically endangered, with Rangatira Island their sole breeding site. A few pairs are now breeding within predator-exclusion fences on Pitt Island and Chatham Island (following successful translocations of downy chicks), plus the species has responded spectacularly to management of their nest sites on Rangatira. 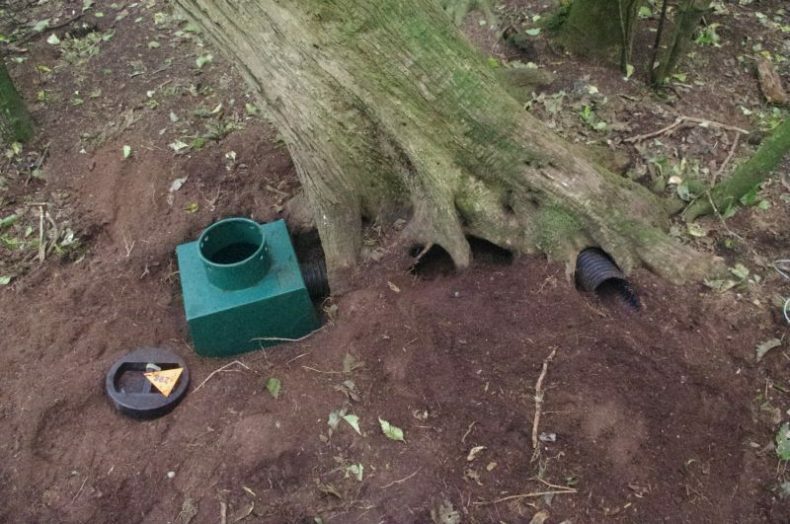 The main protection method used over the past 25 years has been to convert any Chatham petrel burrows found into artificial nest boxes made of wood or plastic, with plastic drainage-pipe entrance tunnels. These prevent prions from burrowing into the nest chamber or entrance tunnel from the side, and also allow the nest chamber to be inspected without the burrow collapsing. 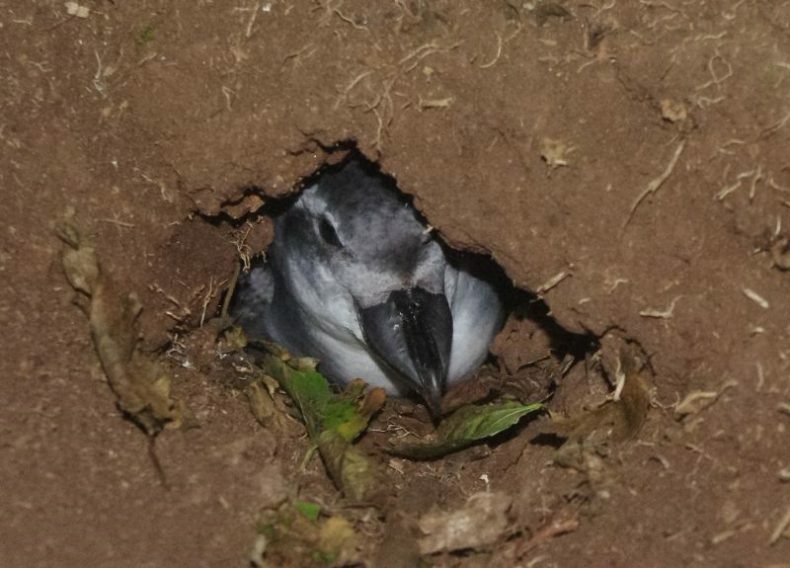 As soon as the adult Chatham petrels become accustomed to their newly renovated breeding burrow, a neoprene flap is attached over the burrow entrance. A slit cut in the neoprene allows the highly-motivated petrels to access their nest chamber, but acts as a deterrent to prospecting prions, who do not realise that there is a tunnel behind the screen. 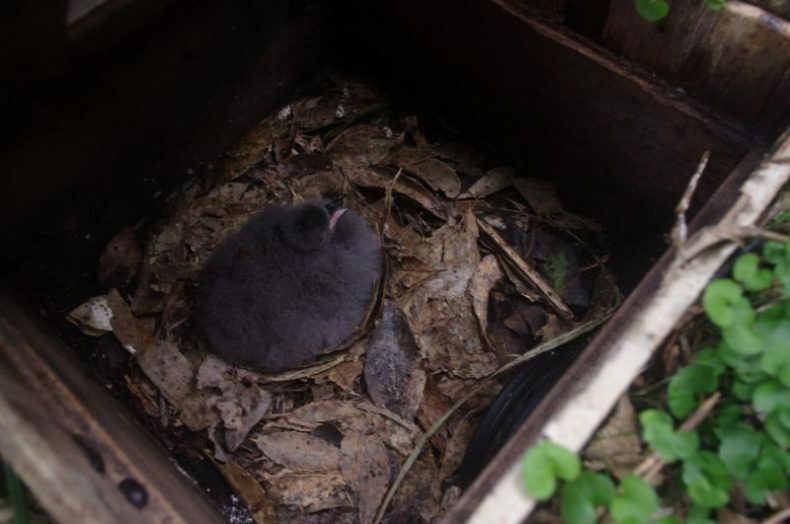 There were 116 Chatham petrel chicks inside artificial nest boxes when we left the island, a fairly typical number for productivity from managed sites over the last 15 years or so. A recent estimate of total population size by Department of Conservation scientist Graeme Taylor has indicated that the population has grown from about 1,500 birds to somewhere between 2,000 and 2,500 birds as a result of this management programme that minimises the number of Chatham petrel chicks killed by prions. The black-winged petrel is closely related to the Chatham petrel, and very similar in size and appearance. They likewise suffer from burrow competition from broad-billed prions, but receive less attention to alleviate this, despite only a few dozen pairs breeding on Rangatira. The reason that black-winged petrels are largely left to their own devices is that this is an enormously abundant species at an international and national scale. More than a million pairs breed in the Kermadec Islands, which are New Zealand nature reserves halfway between mainland New Zealand and Tonga. 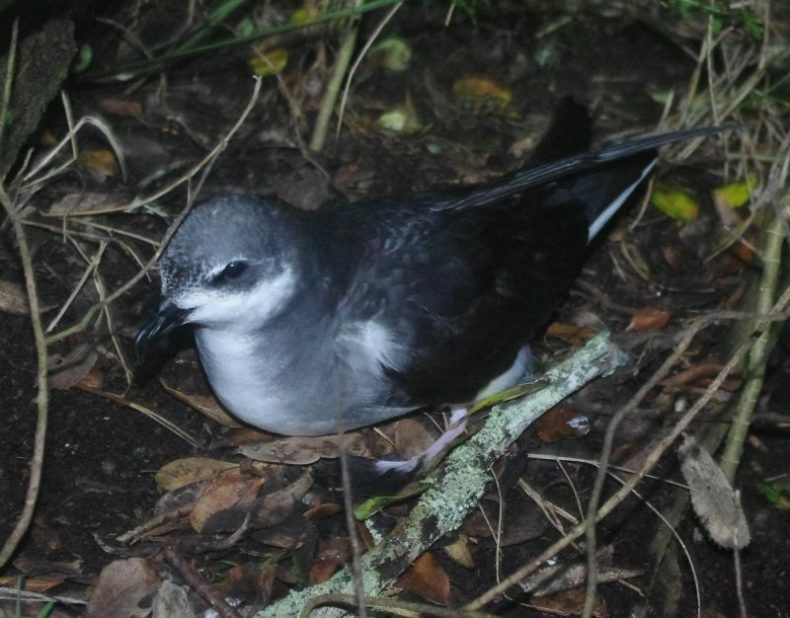 Black-winged petrels were first detected in the Chatham Islands on Rangatira nearly 50 years ago, and the Rangatira population remains a small southern outlier at the edge of their vast breeding distribution that includes Norfolk Island and Tonga, as well as islands closer to the North Island, from the Three Kings Islands south-east to Portland Island off Mahia Peninsula. The largest petrel species that breeds on Rangatira Island is the sooty shearwater, with at least 17,000 pairs breeding under forest. This is the same species that is harvested as muttonbirds on islands off Rakiura/Stewart Island, but they are fully protected on Rangatira Island Nature Reserve. By chance, we departed Rangatira on 31 March, the day before the annual harvest began off Rakiura. It is the large chicks that are taken in their last 1-2 months before fledging, and this highly migratory species has largely departed our waters by the end of May, heading to the northern North Pacific. We had been on Rangatira Island more than a fortnight before I heard the quizzical crooning calls of diving petrels. These chunky little seabirds had fledged their young by mid-January, and had been out at sea since then, moulting and re-growing their main flight feathers. Males were heard first, from 22 March, with the first female heard on 26 March (females have a distinctive stutter in their call). Common diving petrels have a patchy distribution on Rangatira Island, with an estimated 127,000 pairs under forest. With many thanks to the Department of Conservation for the opportunity to assist with Chatham threatened bird recovery programmes and to visit Rangatira Island Nature Reserve. Hi Colin, I really enjoyed reading about this survey. I recall clearly the trips that I was privileged to be part of while we did those early population estimates. Our hunt for the breeding areas of Chatham petrel was part of our surveying and I was delighted to hear of the subsequent location of many more burrows than we could find. I believe that we were among the first workers to use the boards in the forest to protect the fragile substrate and undermined forest floor. Back then we were very aware of the problem with burrow competition from broad-billed Prions. 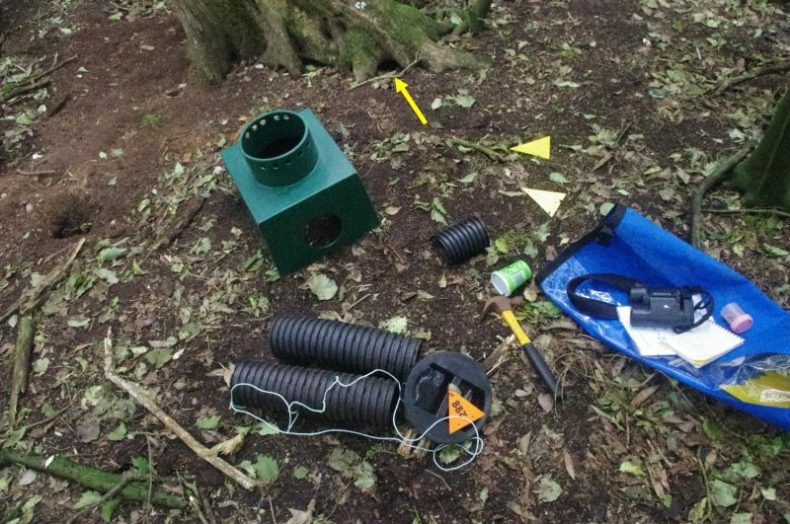 The artificial housing for the vulnerable Chatham Petrels has evolved into a highly successful system over time and seems to be working very well. A success story in a magic place! 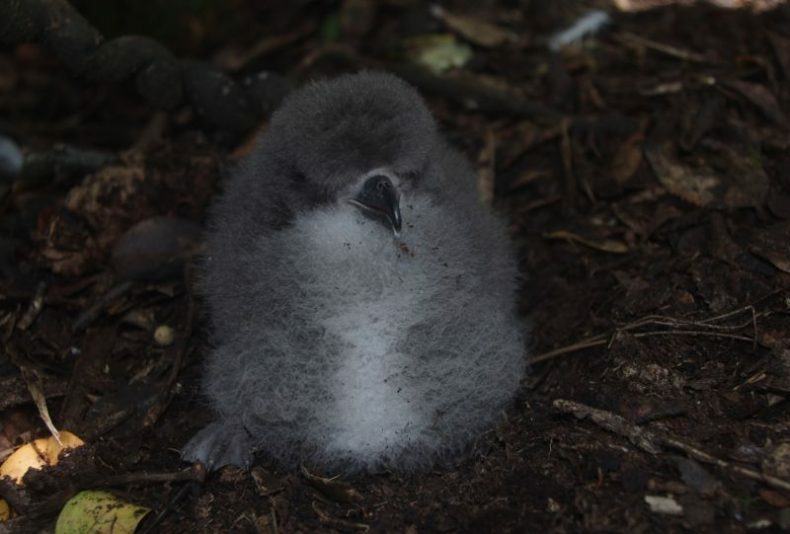 Yes – the Chatham petrel recovery programme is one of the real success stories of New Zealand conservation. It was a great privilege to have the opportunity to visit Rangatira, and to stay long enough to observe the wildlife and their interactions. Thanks very much for your comments Maureen. The petrel communities of the two islands are similar, with two key differences. 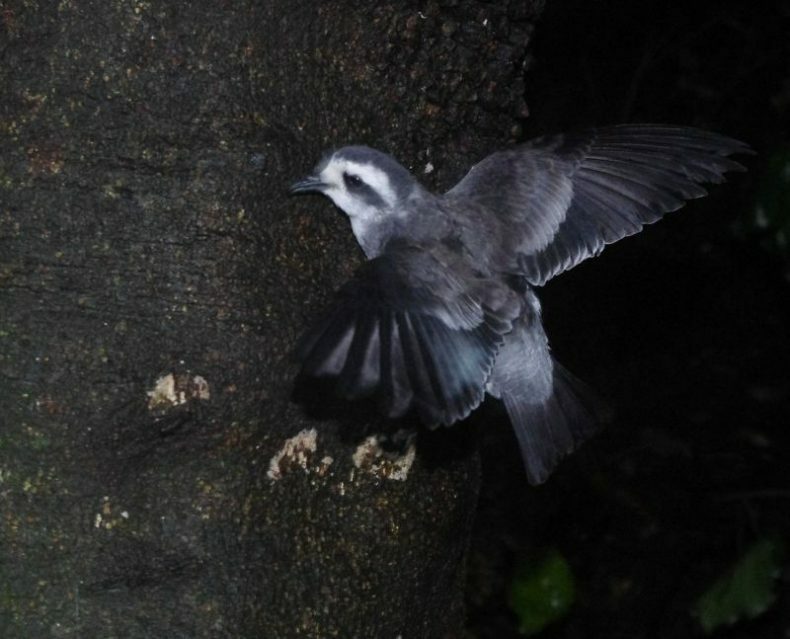 Mangere has a large breeding population of fairy prions (which are absent from Rangatira), and there are no Chatham petrels known to breed on Mangere. But the four other species mentioned in the blog are shared by both islands. Many thanks for an illuminating survey!